As expected, the copper futures contract traded on the Multi Commodity Exchange (MCX) has dropped in the last week. However, the contract is still retaining its ₹424-439 a kg sideways range within which it has been trading since July. It is currently hovering near the lower end of this range. Whether the range support at ₹424 is going to hold or getting broken will decide the next leg of move for the contract. A sharp reversal from ₹424 will mean that the ₹424-439 range would remain intact. It will also increase the probability of the contract moving higher to ₹439 – the upper end of the range in the coming days. In such a scenario upon a reversal, traders with a short-term perspective can initiate fresh long position at ₹425. Stop-loss can be kept at ₹419 for the target of ₹437. On the other hand, a break below ₹424 will turn the short-term outlook bearish. 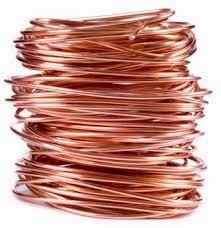 It will result in the MCX-copper extending its decline to ₹420. This level of ₹420 is a key support level. An immediate break below this level might not be very easy. The overall outlook will turn bearish for the contract only on a strong fall below this level. There is no immediate danger for the medium-term bullish view as long as the contract trades above ₹420.